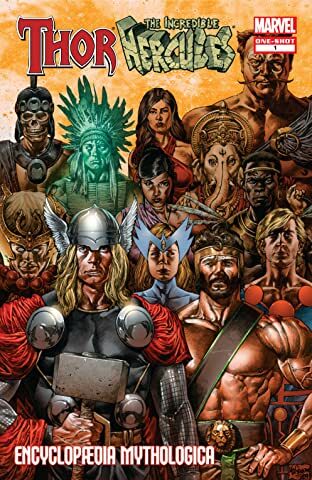 All of Marvel's mighty pantheons, all in one handbook! 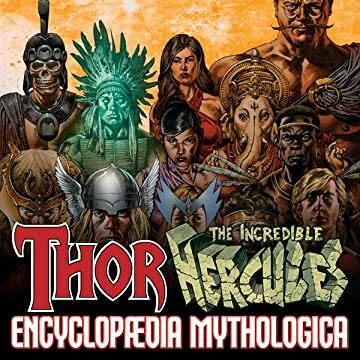 Thor and Hercules aren't the only gods in town, as the ENCYCLOPAEDIA MYTHOLOGICA spotlights everything from Aztecs to Zoroaster! Brush up on the eternal rivalry between the Green Knight and the Red Lord! Meet Anitun and the Diwatas, the gods of the Philippines! Learn the dark origin of Mikaboshi, the Shinto god of evil! Explore the mystical dimension of Otherworld! Plus: Panther Gods, Lion Gods and Snowbirds!